United Greenhouse Systems has the design capabiliites to meet the required environments necessary for your research facilities, where technical needs and accuracy are of the utmost importance. We offer a wide variety of professional control systems from MicroGro in order to streamline your environmental controlling needs. Whether your environment needs include thrip exclusion, multiple research chambers, light enhancement/intrusion systems, and environmentally controlled heating, cooling, ventilation, and humidity United is up for the job. We have worked with the design and implementation of facilities for federal research projects, state sponsored facilities, county works programs, and local community development centers where unique objectives have been requested and fulfilled. United has a long positive history of public sector projects. This gutter connected Ambassador Crown services the USDA in its research and growth. 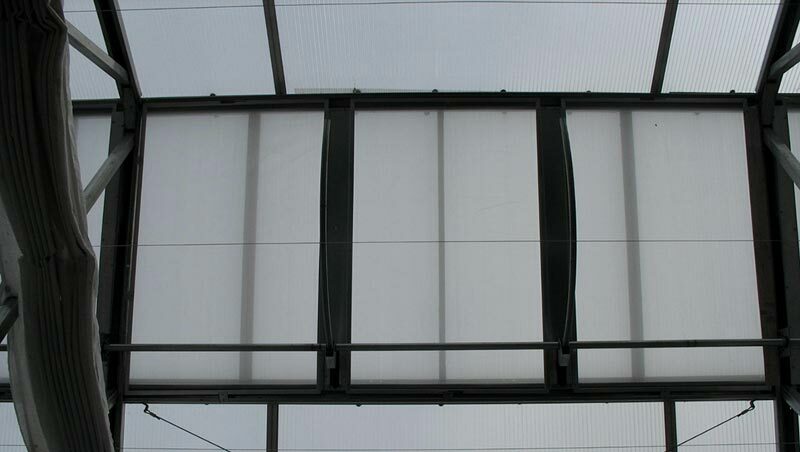 Thrip exclusion can be fitted for your greenhouse on the interior or exterior. The photo above features thrip exclusion fitted for evaporative cooling pad systems. 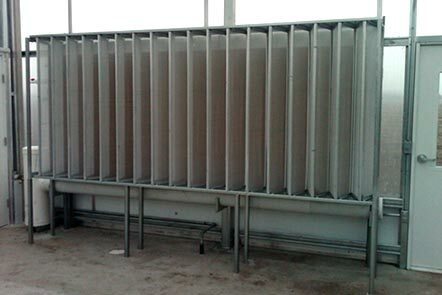 The photo above features exterior thrip exlusion which can be fitted for motorized shutter or ventilation systems. 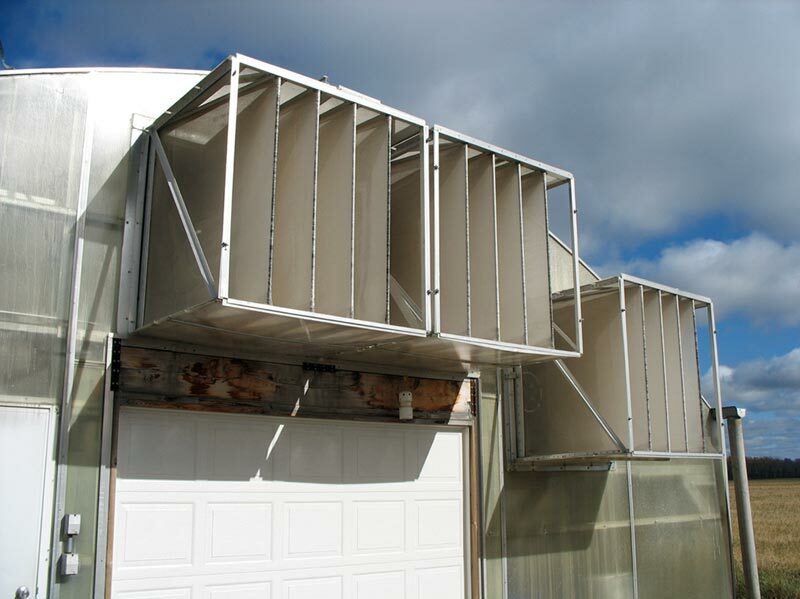 The photo above features thrip exclusion specifically designed for roof ventilation.